Time to rethink gun access rules for 'at-risk' soldiers on U.S. bases? When I heard about the shooting at Fort Hood last week, one thing stood out to me: the alleged shooter – 34-year old Army Specialist Ivan Lopez – was being treated for mental health issues. Mental health issues – many believed to be caused by duty in Afghanistan and Iraq – are a scourge upon our military. In 2012, a record 350 soldiers killed themselves. That’s more than died on the battlefield. And between 2008 and 2010, nearly two-thirds of all suicides in the United States military involved firearms. You're a general. You're an army man. You've spent your life around guns. You're comfortable with them. You know they can be used responsibly. But you also feel that when people are at risk in terms of mental issues, it’s very dangerous for them to have access to guns. …What do you say to those who say, well, there is the Second Amendment and that's why you can't go much further with your efforts? Chiarelli: I don't buy that. I don't believe the Second Amendment was put in place to take a person who is at high risk for hurting themselves, and put in their hands a weapon that in an impulsive moment, at a time when they're not thinking straight, they can end their life. Watch the video for the full What in the World. Topics: Gun Control • What in the World? Editor’s note: Daniel Webster is director of the Johns Hopkins Center for Gun Policy and Research and Professor of Health Policy and Management at the Johns Hopkins Bloomberg School of Public Health. The views expressed are his own. Many Americans have a built in bias when they’re considering the potential for gun laws to reduce violence. After all, our TV screens are regularly filled with stories about gun violence – a gang member suspected in a triple shooting in South Chicago, an estranged husband murders a woman and then commits suicide, a shooting at local night club, scores dead and injured after a gunman opens fire in a crowded movie theater. So it might seem logical that with so many dangerous people apparently determined to kill, and so many guns already in circulation and available to those individuals, that efforts to prevent killings through gun laws are futile. It’s an idea encouraged by the rhetoric of the National Rifle Association and others who argue that criminals, by definition, won’t obey gun laws. But our perceptions of reality can be distorted by the things that we don’t see every day – what the media does not or cannot report. For example, aside from the FBI’s records of the number of individuals who don’t pass background checks when attempting to purchase a firearm, we simply cannot know how many people don’t even try to buy a gun because they are disqualified from possessing guns. That’s where a closer look at some of the data that isn’t widely publicized is crucial – and one state in particular offers some of the clearest evidence yet that gun laws can, in fact, make a difference. 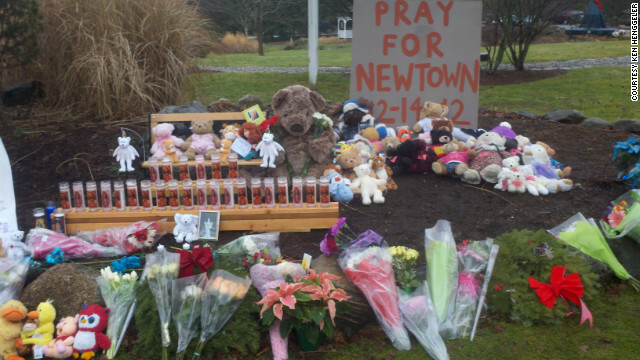 It’s a year since the tragedy at Newtown, yet remarkably little has changed. Despite the loss of 26 lives in the Sandy Hook School shooting that day, including 20 children, Washington has failed to coalesce around any really substantive changes to America’s gun laws. Sadly, that means it is only a matter of time before the next mass shooting. As part of a GPS special on the issue, we went all over the world in search of solutions and lessons that we might apply here to bring down the epidemic of gun violence that afflicts us. We saw many interesting ideas that worked, all of them centering around some simple, common sense ideas that would put some checks on the unfettered sale and possession of firearms. What we did not find was a large-scale, nationwide example where expanded attention to mental health issues could be tied to a reduction in homicides or suicides using guns. This might surprise you. Every time there is a serious gun massacre in the United States – and alas these are fairly common – the media focuses on the twisted psychology of the shooter and asks why we don't pay more attention to detecting and treating mental illness. Switzerland is, by many measures, a gun lover's paradise. According to one estimate, the Swiss rank third in the world with 46 guns per 100 people – trailing only Yemen and, of course, the United States. Why is Switzerland armed to the teeth? Well, thanks to a tradition that dates back to the dawn of the nation. It’s citizen-militia that forms its army. All able-bodied men, from farmers to financiers, serve at least 260 days in the militia. They’re all trained to shoot and most of them keep their guns at home. Militiamen can hone their skills at their local shooting clubs – gun appreciation societies that boast hundreds of thousands of members, offering classes, competition and camaraderie. Pistol-packing Ursula Lutz in the video has been shooting for most of her life. On this day at her club, she hits the bulls eye 18 out of twenty times. Not bad for a 70 year-old. Even the youngsters are expert marksmen. Dave Hah-Bairt is all of 10 years-old and started training two years ago. His advice for the inexperienced? Don’t fidget while shooting. Watch Global Lessons on Guns for more on this issue. Did Newtown really change public opinion about gun control? Editor’s note: Carroll Doherty is associate director of the Pew Research Center for the People & the Press. The views expressed are his own. Obama was right – some surveys conducted soon after the Newtown tragedy did find 90 percent support for expanded background checks. But a review of polling over the past year provides a more complicated picture of public opinion about guns and gun control, which partly helps explain why a bipartisan background checks bill died in the Senate last April. For one thing, there was less support – especially among Republicans – for an actual background checks bill (like the failed Senate bill proposed by Joe Manchin and Pat Toomey) than there was for a general background checks proposal. 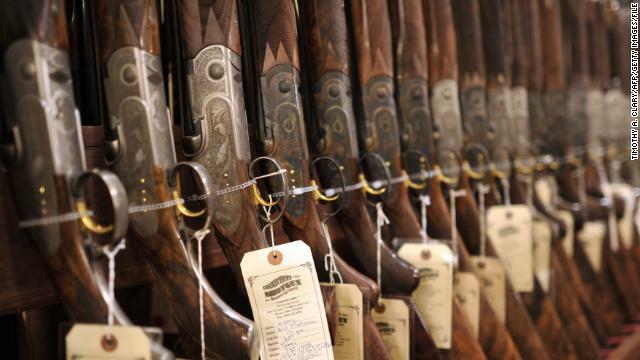 In a Pew Research Center survey in May, 81 percent, favored expanding background checks on private gun sales and sales at gun shows, but fewer (73 percent) said they wanted the Manchin-Toomey bill to pass, if it were reintroduced. Did America learn anything from Newtown tragedy? Next week marks the one year anniversary of the Newtown shootings at Sandy Hook Elementary School, in which more than two dozen people were killed, including 20 children. The shootings reignited the debate about gun control in the United States, and have prompted many to ask whether the U.S. could learn any lessons from other countries. But what lessons have the U.S. learned at home in the 12 months since the tragedy? 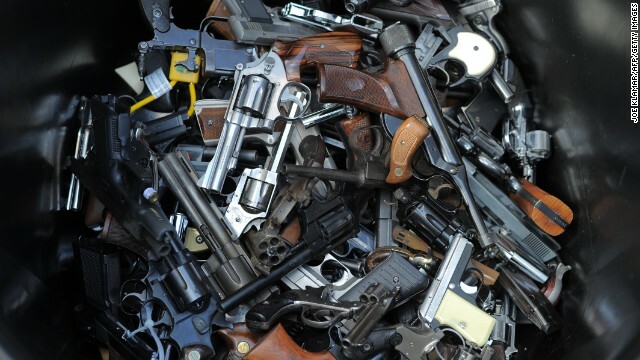 What should and could America be doing differently on gun policy? 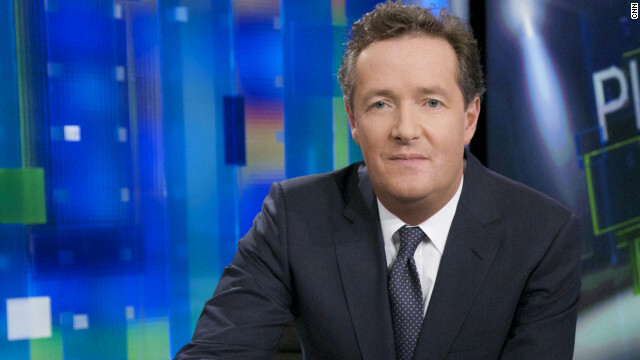 CNN host Piers Morgan answers GPS readers questions on the issue. What kind of guns, if any, should civilians be allowed to own in the United States? I understand why, in a country which has over 300 million guns in circulation, people feel the need to protect themselves and their families from armed attacks in their homes. So I’ve never argued against ownership of a regular handgun or shotgun for that purpose. Though I would implement comprehensive background checks for all gun purchases, and introduce heavy punishment for not keeping firearms 100 percent secured in the home. But I see no reason for any civilian to own assault rifles – I would ban all of them. If you did that, there would still be over 2,000 different types of gun still legally available to Americans. What would you like to see in addition to gun control? Do you think the media could be play a more responsible role in the debate? Is there an inconsistency, for example, in that many feel they need to be armed because of fear, but the media’s coverage of crime helps create a climate of fear? To blame the media is to the blame the egg, not the chicken. The fear is generated by the NRA, which comes out after each mass shooting and says if every teacher, movie theatre worker, mall store owner etc were armed, it wouldn’t happen. This ruthless, cynical strategy sells millions more guns, and encourages the grateful gun manufacturers to donate millions more dollars to the NRA. It’s a vicious commercial cycle. There are many things that contribute to gun violence in America: Millions of people with mental health issues, yet very little federal or state research into those issues; the potential impact of violent video games and movies on an unstable mind. Many of the young, male, mass shooters we’ve seen in recent years were obsessed with them; a clear breakdown of family structure in places like Chicago, leading to young men being attracted to gangs, and gang leaders in particular, for the paternal leadership lacking in their lives. But the single biggest contributory factor in gun violence in the United States is…guns. There are just too many of them, and it’s far too easy to buy one. Even for felons or mentally ill people. Editor’s note: Frederick P. Rivara is the Seattle Children’s Guild Endowed Chair in Pediatrics and adjunct professor in epidemiology at the University of Washington. The views expressed are his own. With the anniversary of the Newtown shootings at Sandy Hook Elementary School almost upon us, it is worth revisiting a troubling reality noted in a commentary I co-wrote in the Journal of the American Medical Association just a week after the tragedy – the 17-year effort to suppress research into guns. 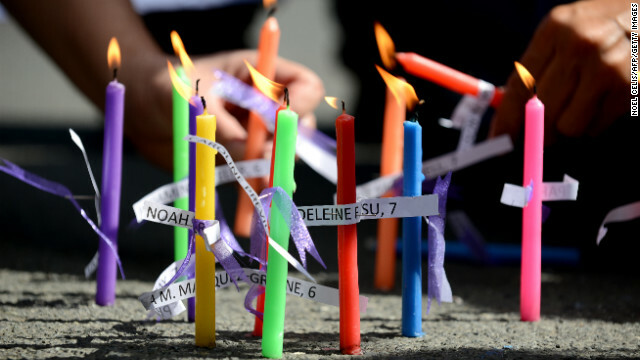 Next month marks the one year anniversary of the Newtown shootings at Sandy Hook Elementary School, in which more than two dozen people were killed, including 20 children. The shootings reignited the debate about gun control in the United States, and have prompted many to ask whether the U.S. could learn any lessons from other countries. But how have other nations managed to keep gun deaths down? What kind of gun control measures have worked, and is there any place for similar approaches in the United States? In a December 8 primetime special, Global Lessons on Guns, Fareed Zakaria GPS will explore these very issues. But before then, CNN host Piers Morgan, who has been at the center of many of the debates and discussion on these issues, will be taking GPS readers’ questions on gun control, what he would like to see done, and what has surprised him most about the conversation. So what would you like to ask? Please leave your questions in the comment section below, and GPS will select the best questions to pose to him online next week. To understand how staggeringly high this number is, compare it to the rate in other rich countries. England and Wales have about 50 gun homicides a year — 3 percent of our rate per 100,000 people. Many people believe that America is simply a more violent, individualistic society. But again, the data clarify. For most crimes — theft, burglary, robbery, assault — the United States is within the range of other advanced countries. The category in which the U.S. rate is magnitudes higher is gun homicides. What I'm struck by in the debate in the United States is that it takes on a left-right coloration, whereas in the rest of the world, generally speaking, it's conservatives who are in favor of being tough on guns, if you know what I mean. They tend to be the kind of policies that law enforcement officials usually support. You’re a very staunch conservative. You were a 100 percent supporter of George Bush during the Iraq War. You’ve always been a tough guy. Do you find it odd to find yourself on the “left side” of the debate? This is not a conservative-liberal issues or a left-right issue. We’ve always seen it as being a question of public safety. And, on this issue, our experience was that we did have gains in public safety. We did have great gains in reduction of mass murder through the ban that we produced. Now, I know the history of gun ownership in the United States. I respect it. America has a Bill of Rights, Australia does not. The courts in Australia do not have the same capacity to decide these issues as they do in the United States. So I acknowledge all of the differences. And, clearly, it is a debate that has to go on in the United States, without people from the outside giving any lectures. And I'm not doing that. I’m simply explaining what we did, what our feelings and emotions were. And there was enormous public support, especially in urban areas, for what we did 17 years ago. There was a lot of resistance inside sections of my own political base. But with the experience of 17 years, even the most cynical skeptical person would acknowledge that we have made a big difference with that prohibition.